5/22/15 – Update v4.9 New Whisper Feature, Transparency Support, & Improved Workshop & Saves Sorting. We’ve got an awesome update for you this week as we added transparency support! That character cutout you couldn’t make before? Well, now you can! You can now privately message people in game and you can also sort your Workshop and Save files which will make finding mods and saves much easier. 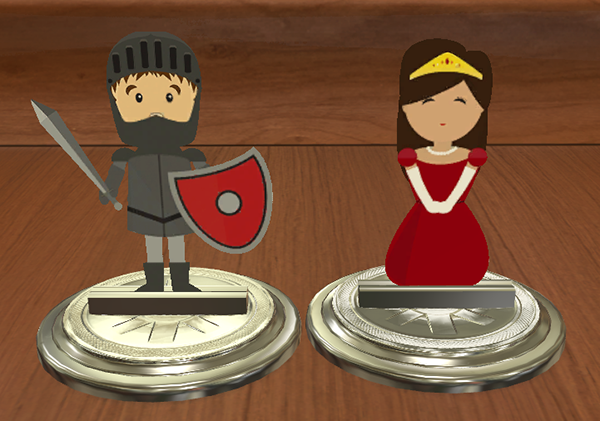 As announced earlier this week, Tabletop Simulator will be leaving Early Access on June 5th and with our launch, this will also bring in DLC, starting with Superfight. Thanks for all your suggestions in our Reddit thread so far. Feel free to keep them coming! You can also continue to post your suggestions on our official forums for after release as well. We also have a contest just announced yesterday to help us create our release trailer, so if you are interested, you can read all about it here. And finally, The Humble Store chose Tabletop Simulator to be a part of their Spring Encore Sale, so Tabletop Simulator is now 40% off until May 25th at 10am PST. Get it at this great discount before the price goes up to $19.99 at release. You now have the ability to whisper people using chat command ‘/< color > < message >‘ (ex. /red Hello World!). We decided to use color instead of names due to some people having alt codes or strange characters in their names. Added in ‘/resetallsaved’ chat command which reset all settings (General, Controls, UI, etc). If you prefer to use chat commands you can now use ‘/team ‘ to chat with your team. Clients can now also use ‘/help’ to see available chat commands like the host. PNG image textures now properly supported and saved to cache. PNG transparency will also now work on the Custom Figurine and Custom Model. Cutout transparency is supported meaning no semi-transparency (100% or 0% transparency). PNG uses up more RAM than JPG, so use them only if needed. You can now modify an existing custom object by right clicking it and select ‘Custom’. Optimized the performance of custom models not using normal maps. Improved some of the tooltips and descriptions on the custom model import window. Fixed normal maps saving as green scale and improperly working. Fixed custom model physics properties not persisting through save and loading. Fixed multiple selections on the radio type and material. Greatly reduced the cache size of images to match the same size they are from the host. This will help speed up mod loading from cached images. Slightly improved the image quality of images saved to the cache (no more extra compression). You can now sort your workshop or save files using the drop down menu (Number, Name, Date, etc.). Text is now aligned left and now clips off very long text so it doesn’t shrink to unreadable levels. Mousing over a save file will give you a tooltip of the entire name of the file. Selecting an input field will no longer highlight all the text, but place the caret at the position of click. No more accidently deleting the entire text field due to highlighting. Fixed the URL input fields for the custom model cutting off URLs. 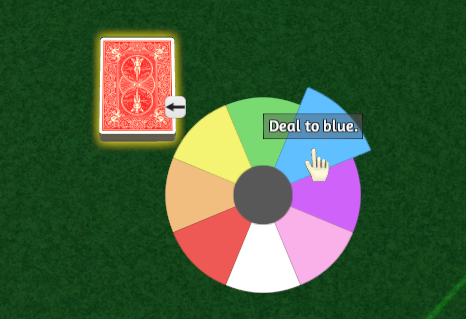 You can now deal cards to a specific color or to all colors with the new expand arrow next to deal. Greatly reduced the time it takes to open workshop or save files by caching save names. Added new hands for Line Tool and Joint hand modes. Added different icons for voice chat and team voice chat to make it easy to distinguish between the two. Optimized some minor code functions. Fixed semi-lock setting not saving properly. Fixed potential issues with teleporting locked objects. Fixed texture issue on custom figurine bleeding into the side of the card. Fixed ‘ALT’ + ‘Right Click’ dropped objects from a deck or stack not snapping to the grid. Fixed ‘Save & Exit’ on the configuration menu applying improper graphics settings if not on that tab.